A little bird taught me a very good lesson today. 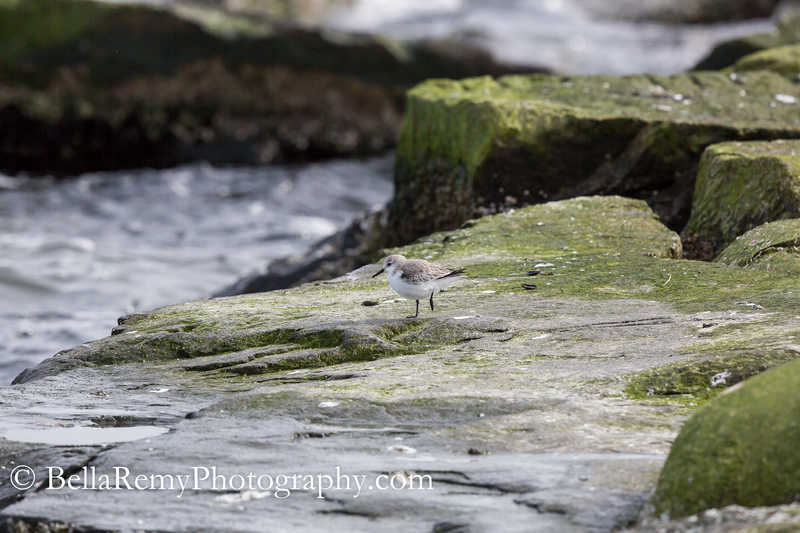 While watching a flock of Dunlins on the rip rap at Indian River Inlet, a small Sanderling caught my eye. 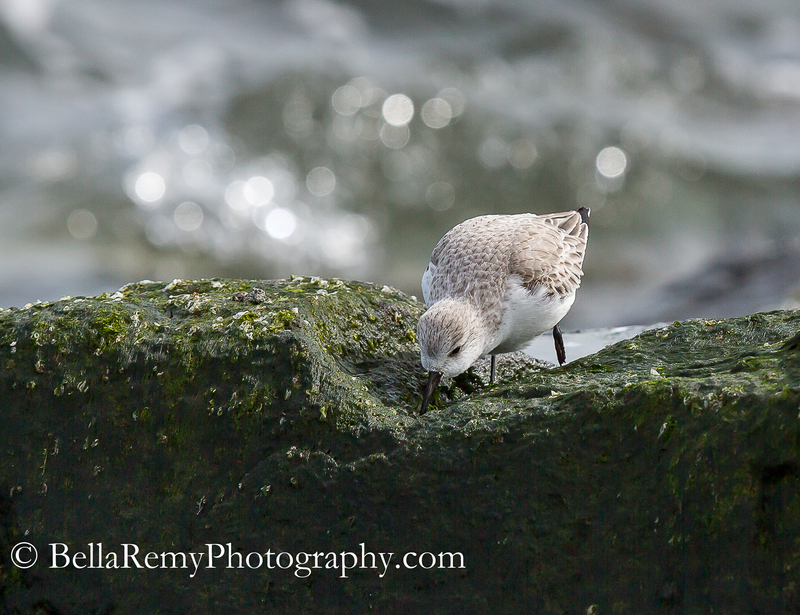 This darling little sanderling was hopping around on one leg, the other tucked under him. He was a busy little fellow, beating his friends to any goodies found along the rocks. But isn’t it interesting that those that have the most to lose are the bravest? 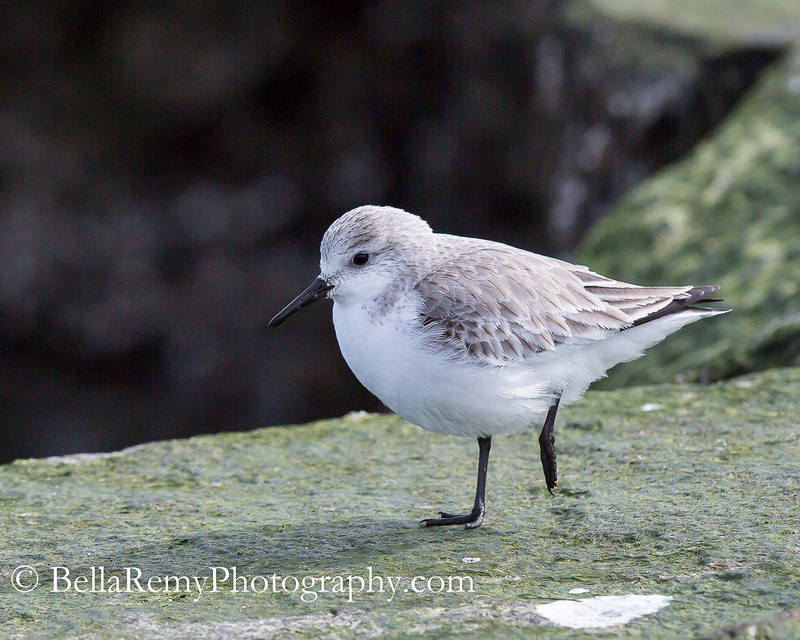 This little sanderling came quite close to me, fear set aside. See, he was showing me that success can overcome adversity, and it shouldn’t hold you back from what you really want. What a great lesson little Sanderling! Everyone is handed adversity in life. No one’s journey is easy. It’s how they handle it that makes people unique. Yesterday I shared what I see in the work you post. Today not only do you show me the eye of an artist but also the heart of a loving person who sees and feels what others don’t. You are too kind Herb. Thank you so much. This little guy really showed so much heart, I was impressed with his strength. Indeed, if one opens their eyes, and listen with their heart, nature is the greatest teacher. Thank you Sally! Ah.. the lessons nature teach us, so cute too! Or in my case..Luke – the Black Maned Lion at the National Zoo. Well I thought I loved the photography the most, but after reading your post on these photo’s can’t see how one could be better than the other. Exceptional work and showing of talent. Such a wonderful and kind comment Jim. It truly humbles me that you appreciate my work so much. Thank you so very much. This is freshly pressed worthy! Great photos and life lesson. Thank you for this wonderful, heartwarming post! Thanks Ilex ! Alas, I think I’m past the fresh pressed worthy due to the age of my blog. But who knows ! This little bird really charmed me and of course I had to share. Keep strong ! Spring is almost here!! Aw, such a wonderful story! Thank you for sharing. Truly my pleasure Shannon, and so happy that you enjoyed it so much. Thank you! Beautiful shots, such great detail in the bird. very nice. Thanks Ben ! Helps when they get close doesn’t it? Yes it does, I am not a great bird photographer but if I can get the shot I will always have a go and my best ones are when the birds get close. Lady luck favours the brave! Love it when we can learn from little things, Bella. With an open heart and a quiet mind, we can hear the lessons. Thanks Perpetua. Spoken by a wise one. Oh, Obi Wan! You are too funny. Thanks for putting a great big smile on my face. 🙂 Have a lovely day! I as well, get goosey feelings about this bird and the thoughts and emotions he brought me. It means to much that this reached you so. Hugs! Now if only he knew the impact he had on the world. Great job again capturing this essence.